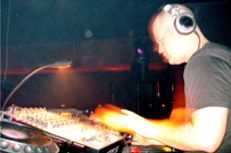 New York-based DJ David Hollands brings his celebrated club sound from NYC's biggest nightclubs to venues around the world, including London, Munich, Buenos Aires, Moscow, and Bangkok. He's delivered unforgettable night at the world's hottest clubs such as Pacha, Limelight, Twilo and Crobar alongside names like Richie Hawtin, Carl Cox and Laurent Gamier. In the last few years, Hollands has established himself as an industry favorite with his exclusive Sunday night parties at Soho's Cafe Novecento. His hot tech-house sound brought together the likes of Moby and DJ Sasha along with the city's top promoters and a sophisticated New York crowd. Time Out New York called Hollands "one of the city's top DJ's" and named the Novecento Sunday night parties a "don't-miss-destination for the night." 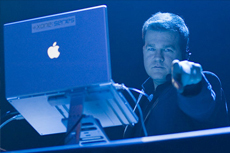 Besides the club gigs, Hollands served as the musical director and resident DJ for the De La Guarda DJ Connection, a high-flying acrobatic spectacle that fused avant-garde theater with techno. This off-Broadway show brought in DJ's like Fatboy Slim and Josh Wink, earning the show a "Best Event" nomination at the Dancestar USA Awards. 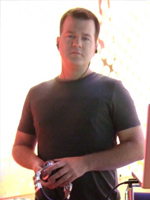 Not content to be merely a DJ and event promoter, David Hollands has been working more and more in the studio doing original productions for both the dance floor and commercial projects. He's released four records under the "Minimal Wage" label, and he's been tapped to do remixes and award-winning production work for Nintendo, ESPN and Boeing Airplanes. URB magazine took notice, naming him one of their "Next 100" talents. 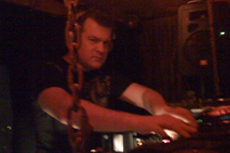 Most recently, DJ David Hollands has been featured in Discovery Channel HD and the CMJ Music Marathon 2007.